American Cruise Lines, which operates six small vessels, is building four new riverboats that will enter service between 2015 and 2017. 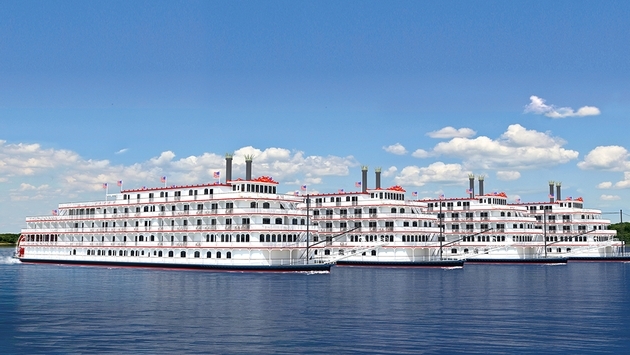 The first two will accommodate 150 to 200 passengers and sail on the Mississippi River system and the Columbia and Snake rivers in the Pacific Northwest. American began sailing in the U.S. heartland in 2012 with the 150-passenger Queen of the Mississippi and in the Pacific Northwest in 2010 with the 120-passenger Queen of the West. The new ships will resemble Queen of the Mississippi but will have even larger staterooms — which means at least 300 square feet — and more public areas and amenities. The company also operates four ships that accommodate 49 to 104 passengers and sail on inland waterways and along the U.S. coasts. The company is expanding to accommodate growing demand for small-ship and river cruising. 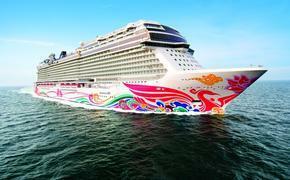 American says it has experienced annual growth of more than 25 percent over the past three years. At least one new ship will operate in the Pacific Northwest, sailing on the Columbia and Snake rivers from the Portland, Ore., to Clarkston, Wash., on the Idaho border, more than 500 miles inland. The vessel will have balconies on every stateroom and an art collection that highlights the Lewis and Clark expedition and the Native Americans who helped them. The new ships will be built at Chesapeake Shipbuilding in Salisbury, Md., a shipyard also owned by American Cruise Lines Owner Charles Robertson.